These authentic designs can be lavishly decorated, embroidered, appliqued, and otherwise embellished. 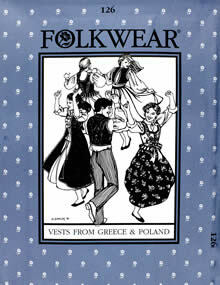 Styles include a short vest for men and women from Greece, mid-calf Greek vest for women, and two variations of a Polish woman's vest with petal-shaped tabs along the bottom edge. 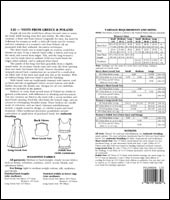 Pattern pieces include traditional design motifs. Misses 6-16; Men's 34-44.